I’ve been (only) going to mountains for quite a long time now. But no, I’ve never found it to be monotonous yet. I do like beaches the same way, but if you randomly ask to me to pick one, I’d only choose the former. 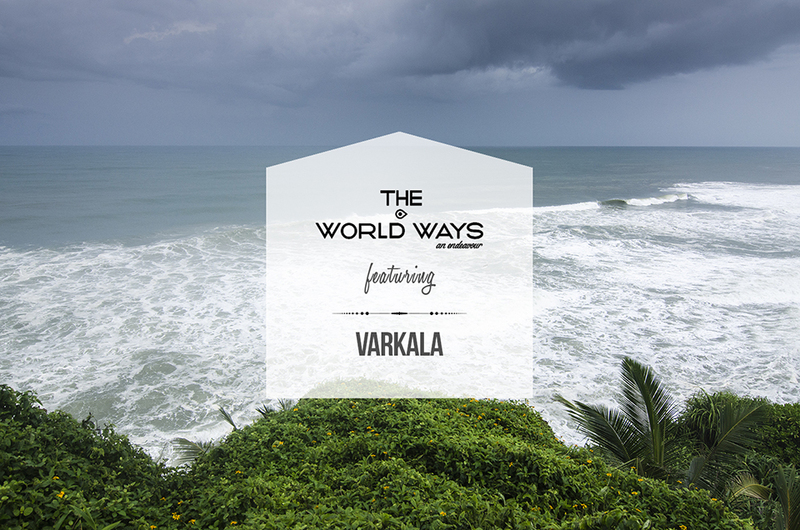 When I had a trip to Varkala some 4 years ago, the only image I had of the place was the beach. So the one kilometer long cliff along with cafes, resorts, Tibetan inhabitants did amuse me when I saw it back then. Of its ambiance, I felt that I’ve come to a foreign land. 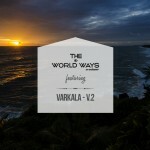 I can’t remember when this thought of embarking a trip to Varkala struck me. But I can remember one thing – I met Suhail, a schoolmate of mine while I was going to the native beach one weekend. I got to know that he runs a small resort at the Cliff and I was invited. Since it was off season, the rates were also cheaper. I planned for a much better travelogue, but since the trip didn’t treat me well..
For someone like me who travel majorly by public transport, what else other than the KSRTC comes handy! But as I was approaching the bus stop that day, I saw the Varkala bus which I planned to board pass by. Past 10 minutes, at 8:30, I board a bus to Kollam. Exactly an hour later, we overtook the Varkala bus which I happened to miss. Upon reaching Kollam bus depot by 10:30, I took a KSRTC Volvo that heads to Varkala Temple. From the set of conversations our conductor had with the driver as well with his co workers/higher authorities over the phone, I came to know that they’re unsure of the route. As we moved further, I also came to know that it was for the first time that KSRTC functions a Volvo in that route. I even saw them stopping at a junction and asking for routes at a local shop. Hah, so you can imagine! At Kallambalam, we deviated and took the road to Varkala. I’d taken ticket until the last stop, but since they’d to deviate from the initially planned route, the conductor suggested me to get down at a junction – Palachira. I board another bus to Varkala. But there too, I got down at Maithanam junction as per the conductor’s suggestion and hired an auto rickshaw to Cliff. Well yeah, finally – THE CLIFF! It was raining. I called Suhail, but nobody picked. I ringed to his friend Manesh’s number; few rings prior to hanging up, he answered the call. Their friend Maari was waiting adjacent to a pocket road. He lead me to Rainbow Cliff Resort, located behind the renowned Clafouti Ayurvedic Beach Resort. I was greeted by Suhail in his just-out-of-the-bed outfit. It was still raining. We sat down and Suhail began to reminiscence our bygone school days. He also told me stories of Varkala, its inhabitants, how he came there after studies etc. He did majority of the talking and I played the role of a mere listener. Rain poured intemperately and it became mind numbing. Past 14:30, when the rain seemed to slightly settle down, we decided to go for a walk. A cup of masala tea did awaken my numb mind and we went on to the cliff’s end point. As we were about to return, it started pouring again. The heavy wind made droplets hit us like pellets and we had to run to a nearby shop to brace ourselves. Back at the resort, boredom resumed to crawl in. Since my arrival at the place, many a time I thought of returning home even though my proposed plan was to stay overnight. It was then Rajiv, one of Suhail’s friends dropped in with his girlfriend from London who was on her one year long vacation! Things picked up momentum from then. Time did flew and as more of Suhail’s friends gathered, we became a group of 8. Numerous packets of cigarettes were lit and bottles of alcohol were consumed. With some western tracks playing on an iPad connected to stereo speakers in background, I sat down with a cup of hot black coffee to watch them smoking up and placing random steps. Rain never seemed to settle down. Time didn’t flew much like before, but it wasn’t boring either. We played cards. I don’t exactly remember the order of events happened, but as time progressed, music, along with rain went high and began to rule the night. But I do remember joining them, dancing. Maari took over the kitchen to prepare dinner and I went back to scrolling my Instagram feed. Some of them went in the heavy rain to get more liquor, but returned empty handed. Maari readied a yummy dinner which comprised of Rice, Chapati, Chicken Curry and a few side dishes. An hour later, Rajiv went in and brought a bottle of Champagne – it was his birthday! His girlfriend popped the bottle making it sure to not drop much. Heh. Somewhere in the midst of all these, since I couldn’t enjoy the place as I thought – blame the rain, I decided to head back the next day, much earlier than I initially planned. It was past 2:00. Even when the night was still happening for them, I sneaked to bedroom and retired for the day. The Sun was shining as I stood at my room’s balcony the next day morning. It was 9:30. Suhail was sleeping in the hall nearby. I tried waking (and shaking) him up, but soon realized that the night’s hangover hasn’t left him. I took a swift shower, packed my baggage and jotted in a sticky note that I’m leaving, stuck it on the table nearby and left the place without waking up anyone. Getting out, I pulled out my camera to get a few shots of the mighty Arabian Sea from the cliff. But in a few minutes time, sun rays gave way to dark clouds, followed by a drizzle. I hired an auto and went back to Maithanam from where I took a private bus to arrive at the Kallambalam junction. A few minutes past then, I had the fortune of getting a KSRTC Volvo back home. P.S: This was the worst trip I had in the last one year and it did put me mentally down at first. I even gave up writing this travelogue, but I made up my mind and thought of going ahead. After all, not every trip is meant to be all worthwhile, right?